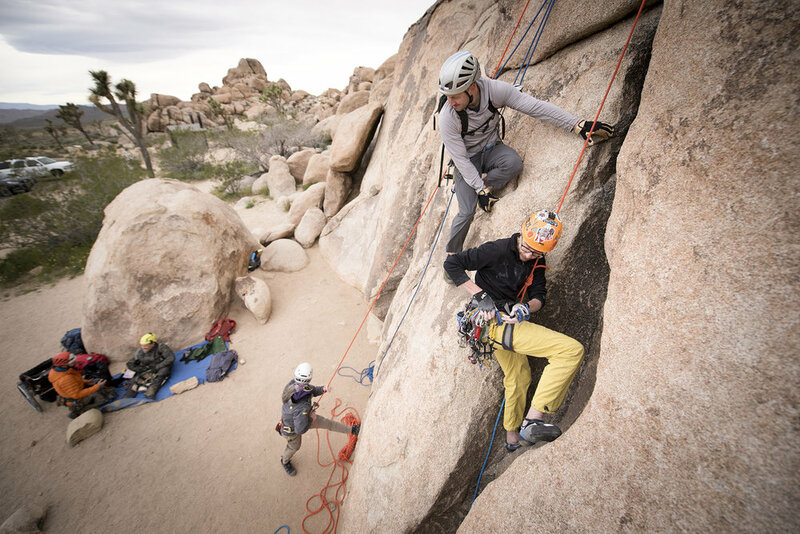 Every climber should learn trad IMHO. 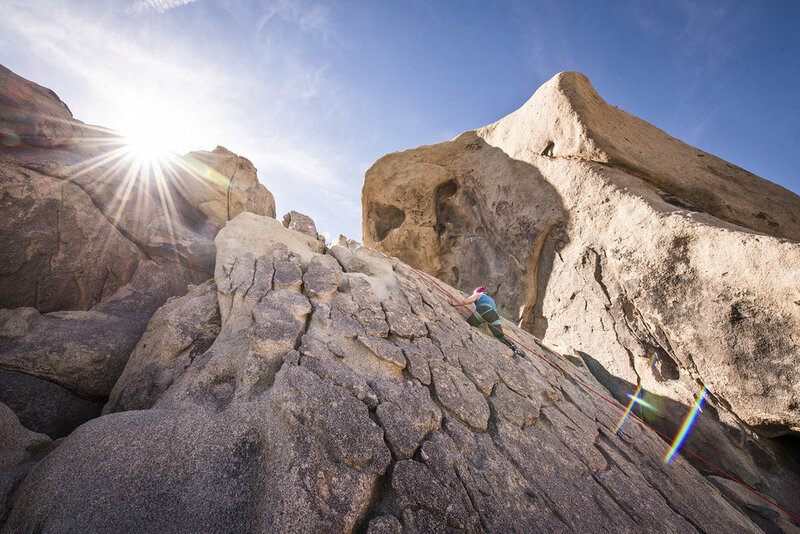 There's certainly nothing wrong with clipping bolts or bouldering but the ability to place gear opens up so much incredible terrain. 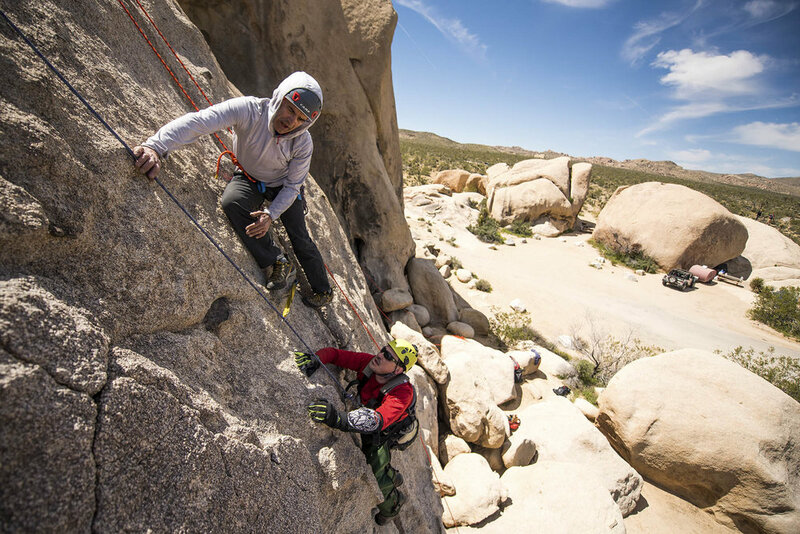 You can basically go anywhere. 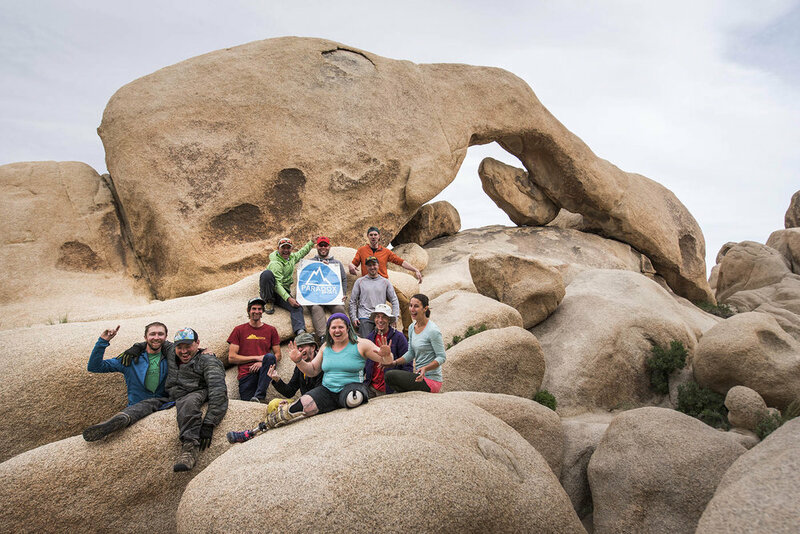 This spring I joined a small group of instructors from Paradox Sports to lead a 5-day Trad Camp at Joshua Tree National Park about 2 hours drive from Los Angeles in Southern California. 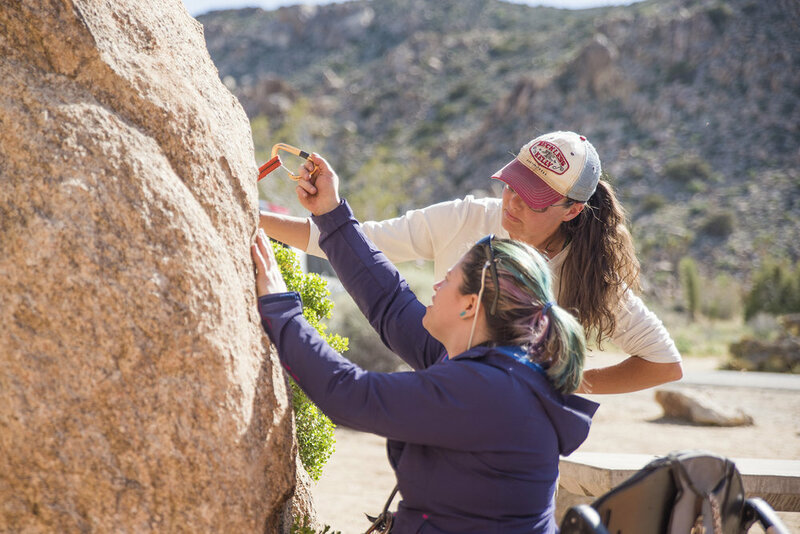 Joshua Tree is a nearly 800,000 acre park where the Mojave and Colorado deserts converge. 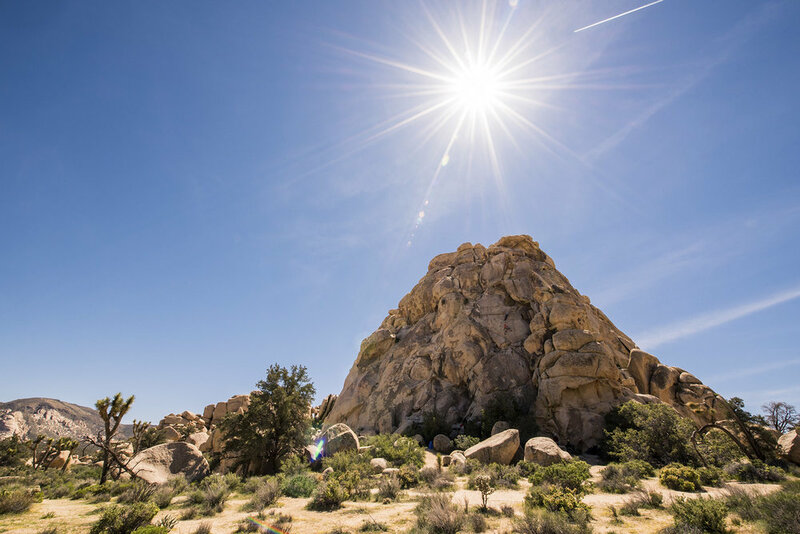 The park is famous for its wilderness landscapes, high desert (often nocturnal) creatures and the Dr. Seussian yucca palm trees from which the park derives its name. 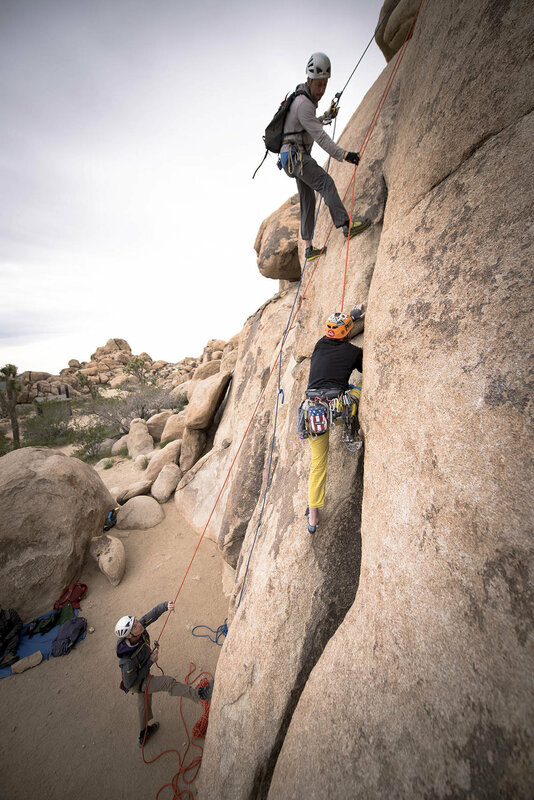 A treasure for climbers, Joshua Tree is covered in coarse, rounded piles of monzo-granite boulders and formations with 1,000's of named climbing routes. 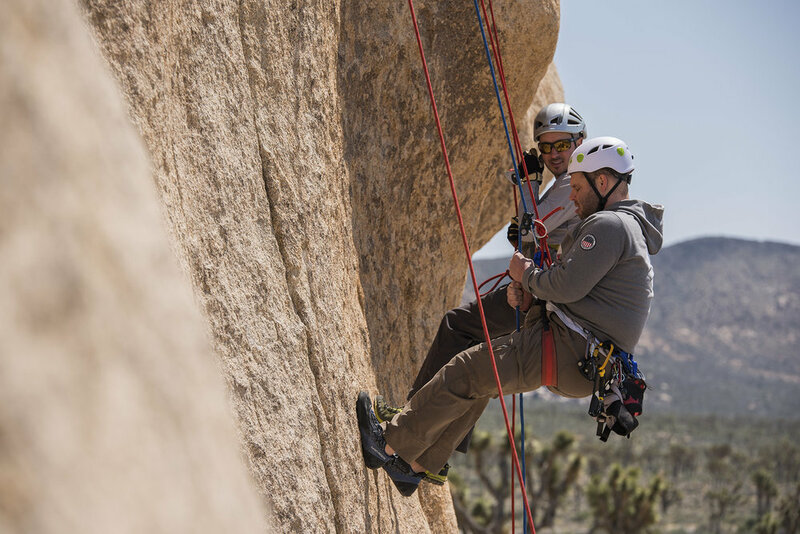 Paradox Sports is a non-profit that runs rock and ice climbing programs for individuals with disabilities at places like Yosemite, the Ouray Ice Park and the Gunks. 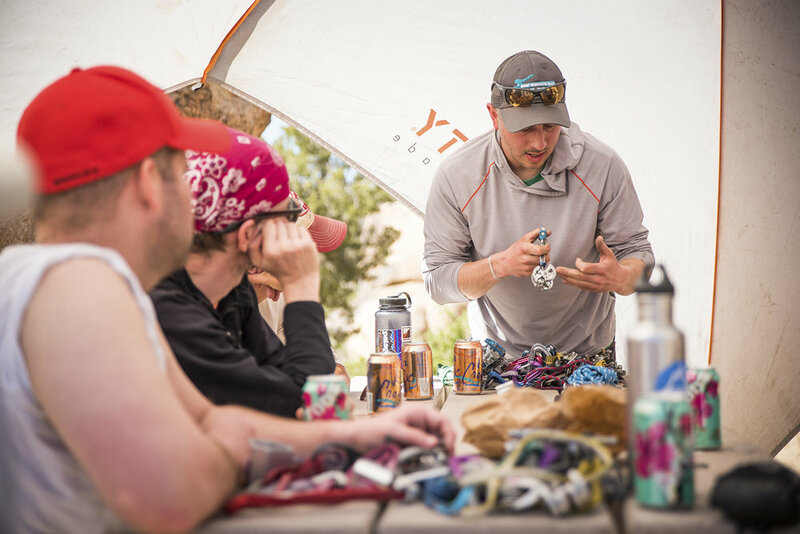 For 5 days we practiced camping skills, anchor building, lead skills, belaying, gear placement, knots, rappelling, rope ascension and a host of other indispensable skills and tricks of the climbing trade. 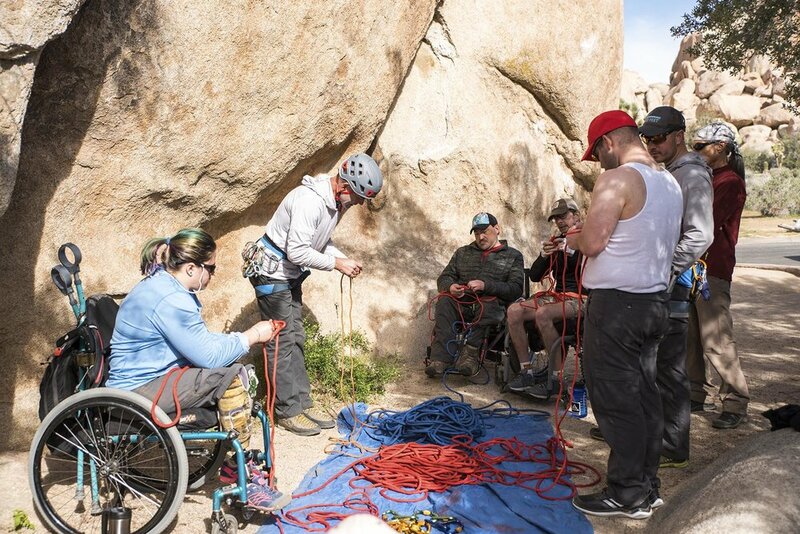 Each of the participants were experienced climbers who came to learn and increase their independence climbing outside. 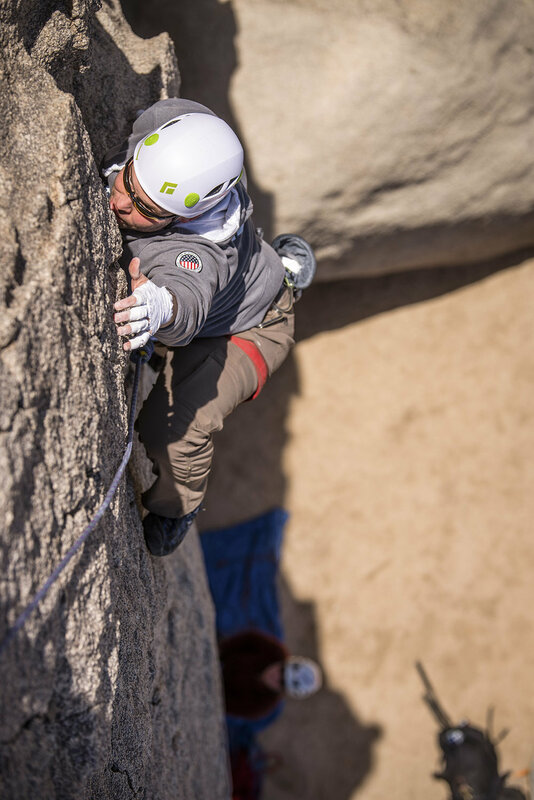 Sean is a blind competitive climber from Chicago with the goal of leading outside without assistance. 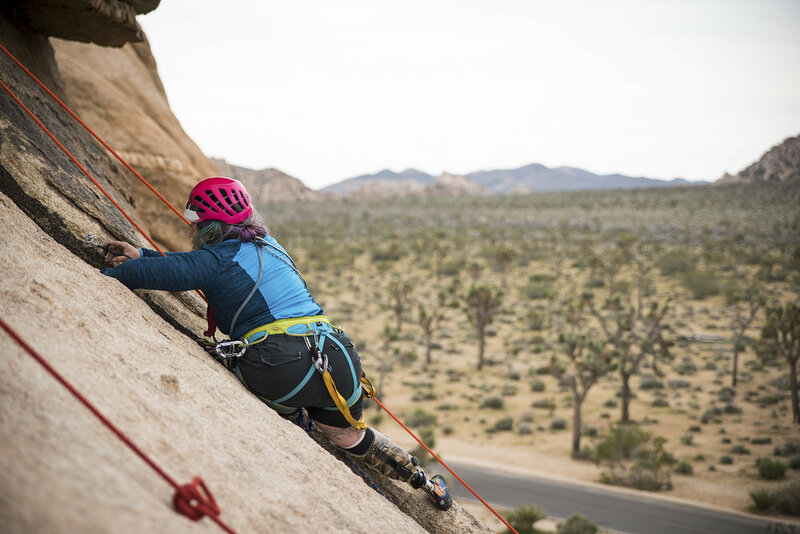 Bonnie is a double leg amputee with competition experience and is one of only a couple AMGA certified Climbing Wall Instructors with a disability. 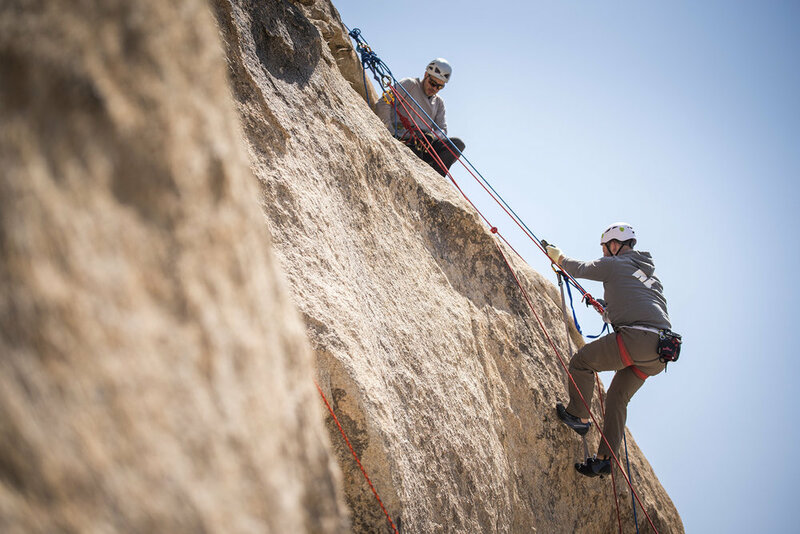 Adam is a world cup competitor who's climbed rock and ice all over the US and in France. 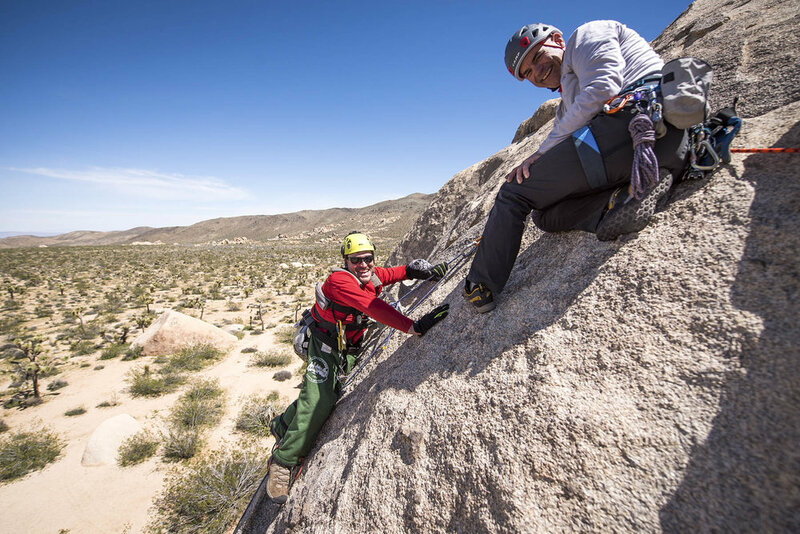 Enock was born with spina bifida and although he doesn't walk - he's climbed El Capitan in Yosemite. 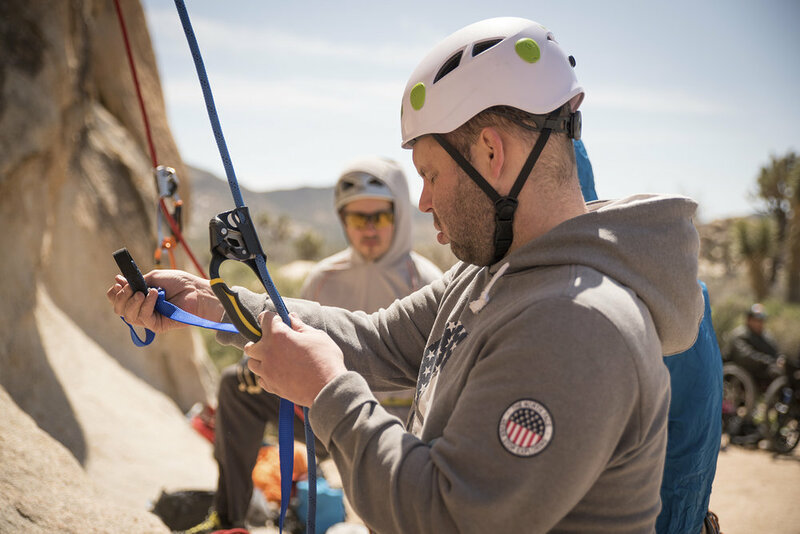 Paradox raised the bar once again by offering the first multi-day climbing, camping and skills course for adaptive climbers. 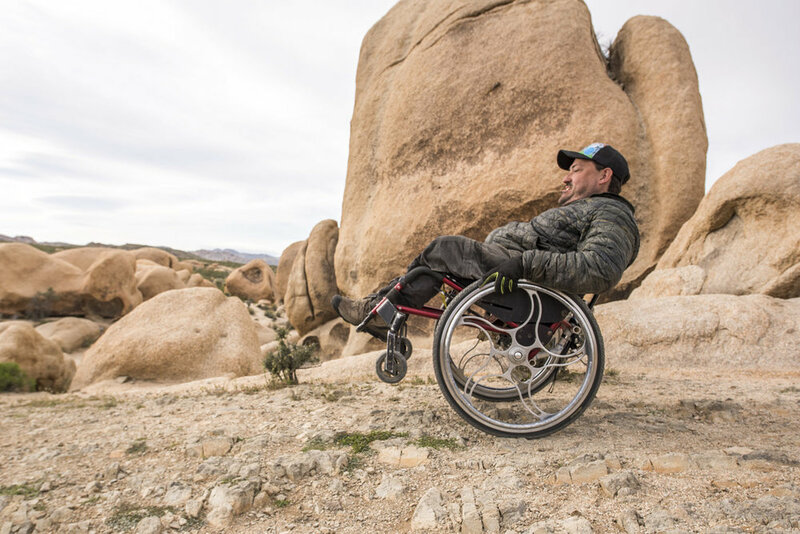 Paradox disregards common assumptions about what folks are capable of (or incapable of) due to their disability. 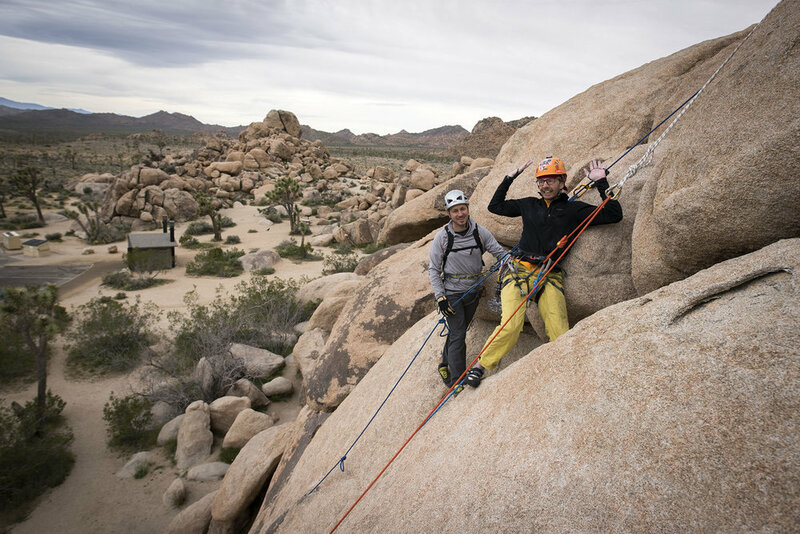 Help by supporting Paradox Sports or invite a friend or family member to attend a Paradox rock or ice climbing trip.